يقع شقق ماراكاي في دارون سيتي, داروين, هو خيار شائع بين المسافرين. يمكن من هنا للضيوف الاستمتاع بسهولة الوصول إلى كل ما تقدمه هذه المدينة النابضة بالحياة. يوفر الفندق بفضل موقعة الجيد وصولاً سهلاً إلى أهم معالم المدينة.
. يعمل شقق ماراكاي على ضمان إقامة مريحة لضيوفه من خلال خدماته الممتازة وحسن ضيافته. هذه بعض الخدمات الموجودة في هذا الفندق: مرافق مخصصة لذوي الاحتياجات الخاصة, تخزين الأمتعة, صف السيارات, غرفة عائلية, مرافق للشواء. ادخل إلى واحدة من الغرف 20 وتخلص من عناء نهار طويل بمساعدة مجموعة كبيرة من الخدمات كمثل تلفزيون بشاشة مسطحة, مسبح خاص, غرف لغير المدخنين, مكيف هواء, مكتب الموجودة في بعض الغرف. يقدم الفندق مجموعة واسعة من وسائل الراحة المتنوعة، كمثل: حمام سباحة خارجي, سبا, حديقة. إن كنت تتطلع إلى إقامة مريحة وهادئة في داروين، فستجد في شقق ماراكاي بيتك الثاني. Apart from fire evacuation at 1130pm and my son getting stuck in the lift for 30 mins the location is great.The accommodation is a bit rundown needing maintenance inside the unit we had.Our unit was great size ,with big balcony and great living space.The manager was pleasant and helpful. The manager was terrific very accommodating and helpful.The apartment is close to everything .The apartment we stayed in needs maintenance work but is spacious,workable and clean and tidy. Whilst I was happy with the facilities and setup in the two bedroom apartment in which our small group stayed, the apartment itself was in need of some maintenance (eg cracked powerpoints, and walls and ceilings a tad shabby- and the outdoor portable clothes drying rack was a rusted mess...) We were there for four nights and the apartment wasnt serviced during that time but it would have been nice to have one service in the four days. The location is great, close to the enjoyable Cafe 21 and nice walks on the Esplanade. Also a 24 Hungry Jacks less than 200 metres away. The sunsets from the balcony of our 9th floor apartment were stunning. Would stay there again if the price was right. Good position, cutlery and crockery need to be updated. Staff were very friendly. Great value for an apartment, excellent views. Apartments are a little dated however, a very 80s feel to them especially the kitchen, but they are still very nice to stay in and very good value for money. The floor in the kitchen was so sticky. We had to mop and the water was black just after mopping the kitchen. There was chewed chewing gum found stuck right next to my sons bed and there was an issue with Ants. We told reception the following morning and the lady was so rude and didn't seem to care. We asked for the manger to contact us ASAP on Friday......we are still waiting. Definitely was not worth the money for two nights. 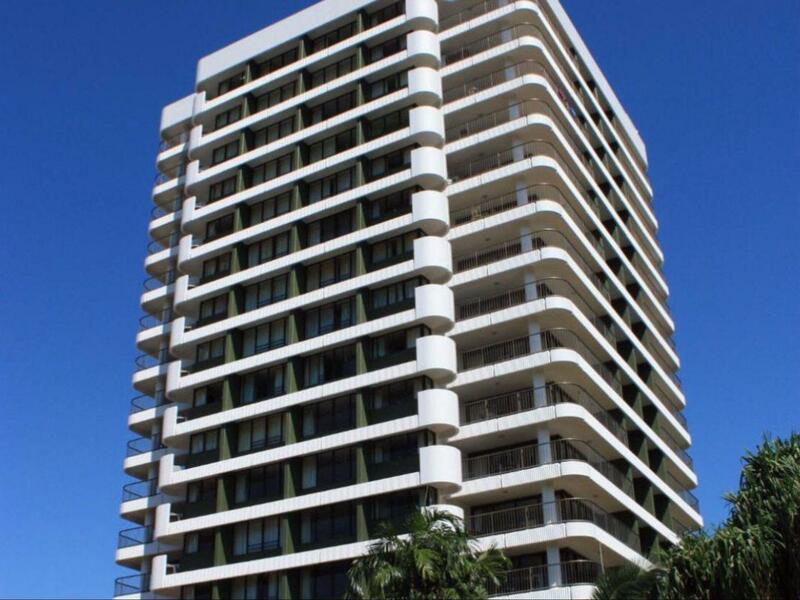 Located in a great location in Darwin , just 400 metres from Woolworths and a short walk to smith street mall , Mitchell street and the water front . Staff were very helpful with the baby cot for us . Great view from our apartment on the 9th floor . Good location, however have this is a working mans apartment block. Shabbily presented, and extremely poor standard of cleanliness. Cancelled my return stay would not recommend this to friends. 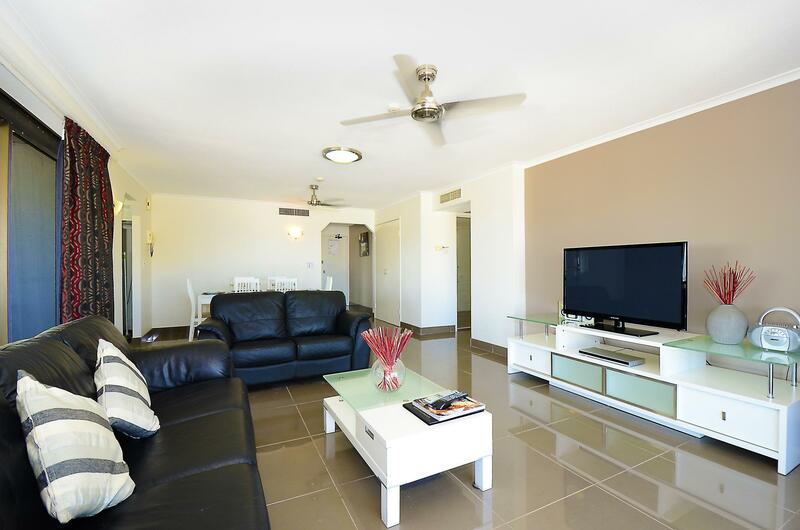 The Marrakai apartments were spacious and had lovely views over the city and sea. It was quiet and there was secure underground parking. Unfortunately the apartment could do with some maintenance and a good clean. When we arrived there were lots of hairballs and chips escaping from under the tv cabinet and the oven had a tray of stinky mouldy fat in it. There was no light and a severe leak in the laundry which the receptionist put down to problems with the air conditioner, the light was fixed but we had to contend with puddles of water for the week we were there. The most disappointing issue we had was the lack of Wifi. We chose that apartment because it said there was WIfi and when we got there there was no wifi due, she said, to a new provider.Unfortunately they were not prepared to make any effort to find a way round this problem. It is definitely not 4 stars. Self contained apartment had everything required. Pool was clean and a good size. Staff were very friendly and helpful. We stayed in apartment 4. It was very noisy especially at night with neighboring housing commission units. The apartment was dated with chipped bath tub and overhead fans do need upgrading. Airconditioning worked well. Moved a chair to find not clean underneath. The staff were very good and nothing was too much for assistance. Stayed twice in different units And both times maintenance required. convenient location to Darwin City Center, good view of the city and the sea, comfortable and homely with good facilities. Very comfortable. Feels like home. We stayed on the 9th floor and the view over Darwin was fantastic!! The apartment is a little 'dated', but comfy enough. The air conditioner struggled a bit with the heat and condensation dripping started just as we left in the morning, but it was quite a hot 'wet season' morning. The pool looked lovely, but was a bit warm and two of my family had really red sore eyes that lasted until the next day after swimming. The apartment itself was very spacious and was furnished simple, but with everything you need. The check-in procedure needs a bit of improvement, as their reception hours are only to midday on the weekends which is before the available check-in time, so you then need to put a password into the safe box out the front to retrieve your keys. This is not a drama, although I only found out my pin # because I rang up to make an enquiry during the day. Another booking turned up while I was trying to access the safe box and had not been told any information about how to check-in, so it was lucky that I was still there. It turned out that we were there at the safe box for quite some time, as the battery had run out and the pin pad was not working. After being on the phone with them for a while, a gentleman came down to let us in. He was lovely and very helpful. Other than the couple of things that need improvement, overall it was a pleasant enough stay and I would stay there again in the future.